Toothaches – A Dental Emergency? Your Dentist In Indianapolis Explains. Did you know that toothaches are one of the most common dental maladies that patients experience? In fact, this problem is so prevalent, it’s the most popular problem behind the common cold. 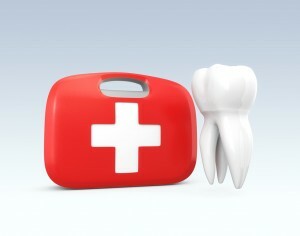 While most of us have had at least one sore or aching tooth in our lives, are toothaches considered a dental emergency? What should you do if the pain lingers, or you notice swelling in your mouth or face? Learn the details on this urgent oral health situation from your trusted dentist in Indianapolis, Indianapolis Family Dentistry. Is A Toothache Considered A Dental Emergency? Remove any food or visible debris from the painful area. Floss gently, but thoroughly, around where your tooth aches. Rinse with warm salt water. Take over the counter pain relievers like ibuprofen or acetaminophen – be sure to follow the directions on your OTC medication. Avoid using clove oil or other home remedies – clove oil can burn teeth, and anesthetics like Orajel can prevent you from noticing how bad the problem is. If pain lasts more than a day or two, reach out to us right away. Oral infections can spread quickly and become dangerous, so don’t delay treatment. Since only dentists can perform dentistry, and hospitals rarely have dentists on call (or on staff, for that matter) contact us at (317) 622-6605 before heading to the ER. What Other Conditions Are Considered Dental Emergencies? If you find yourself dealing with any of these conditions, call us right away for treatment – we’re here to save your smile. How Can I Prevent Toothaches? 2x2x2 – Brush your teeth gently for two minutes twice a day, and see your dentist at least twice a year for preventive care like exams and cleanings. Limit Sugar – Painful cavities that cause toothaches and other enamel problems are often the result of sugary foods and beverages. Nix sweets like candies, cookies, sodas, and fruit juices, and say cheese instead, since this savory snack can help fight tooth decay. Don’t Smoke – Using tobacco products causes as slew of oral – and overall – health problems. To protect against oral cancer, eliminate bad breath, and prevent sensitivity and pain, stop using tobacco in all its forms. Now that you know that toothaches can be considered dental emergencies which sometimes quire urgent care, schedule your appointment with Indianapolis Family Dentistry if you have a sore tooth, or if you’d like to prevent one from developing! Comments Off on Toothaches – A Dental Emergency? 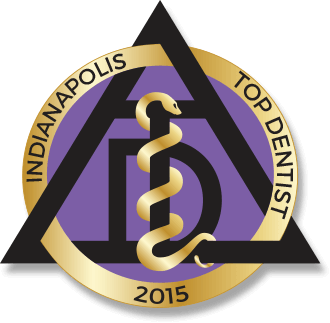 Your Dentist In Indianapolis Explains.